AFTER A 12-week trial on charges of perjury - the longest and most expensive case of its kind in Scotland - Tommy Sheridan has been found guilty by a jury on a majority verdict. He will be sentenced in late January. This outcome represents a blow to Tommy Sheridan, his family, friends and comrades. But it will also be widely regarded as a politically driven prosecution achieved through an unprecedented vendetta by the state against Scotland's best-known socialist. As such it will provoke anger among many genuine socialists, trade unionists and working class people here in Scotland and internationally. 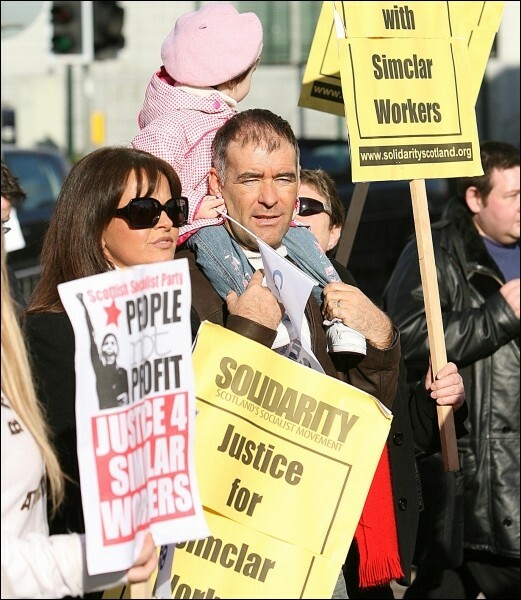 Tommy Sheridan may have been found 'guilty' in a capitalist court of law. But for socialists he is innocent of any crime against the interests of the working class. 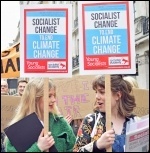 This prosecution has only been achieved through an unholy alliance of the might of News International, the capitalist legal establishment, the police and the leadership of the Scottish Socialist Party (SSP). Moreover, many will contrast the treatment of Tommy Sheridan with the way that the prosecutors and the police have allowed Andy Coulson and the News of the World (NoW) to avoid charges over widespread illegal phone hacking. Although this verdict will be celebrated in the plush offices of News International, it will prove to be an empty victory. It will neither defeat Tommy Sheridan as an individual, nor the determination of the new generation of workers and young people, away from looking towards socialist ideas in the coming period. This was a trial through which the rich and powerful enemies of the working class and socialism saw the opportunity to inflict a defeat on an individual who has been a thorn in the flesh of the capitalist establishment for over 20 years. Tommy Sheridan is Scotland's most high profile socialist. 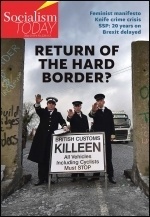 He was a leader of the mass campaign that defeated Thatcher's poll tax in the late 1980s and early 1990s. As an elected socialist MSP for eight years, he fought for the interests of the working class and lived on a worker's wage, donating the rest of his salary back to the socialist movement. The verdict follows four years of a thinly disguised vendetta against Tommy Sheridan, Gail Sheridan, and other members of Solidarity, by the police and the legal establishment. The perjury investigation came after Tommy Sheridan had won a famous civil defamation victory over Rupert Murdoch's News of the World newspaper in 2006. After calls for a perjury inquiry by the judge in the 2006 case, the leaders of the SSP, who were applauded by the Sun and the News of the World, handed in so-called minutes of a party meeting to the police in August 2006. A SSP member, George McNeilage, who was very close to the party leadership, sold a video to the NoW for £200,000 that was designed to implicate Tommy Sheridan in perjury. McNeilage claimed he sold the video to assist the SSP leaders. We would like to know: How much of that £200,000 went to the SSP? The SSP have attempted to justify their actions by claiming they were trying to 'save the party' and on a desire to 'tell the truth'. And yet it was the SSP leaders, by their actions, who rather than welcoming the defamation victory in 2006 as a defeat for the News of the World, threw themselves into the arms of the enemies of socialism to 'get' Tommy Sheridan. Their actions triggered a perjury inquiry for the first time ever following a civil case. More than £2 million of public money was spent by the police, which usurped tens of thousands of hours of police time. During the police investigation, Tommy and Gail's house was raided by a dozen officers who were searching for evidence - traumatising their two-year old daughter. Tommy Sheridan was arrested in a media-staged police action outside his place of work and charged with perjury. Gail Sheridan was suspended from work for five months, after police tipped off her employer, British Airways, that miniatures, which they claimed she may have stolen, had been found in her house during the police raid. She was cleared of all these allegations. To add insult to injury, when being interrogated by police, Gail was accused of acting "like an IRA terrorist" because she refused to answer police questions. 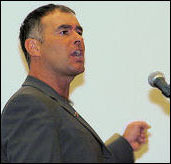 During the trial Tommy Sheridan accused Lothian and Borders police and the Scottish Crown office of carrying out a "persecution not a prosecution". And all the evidence points to a planned and orchestrated campaign against the Sheridans that amounts to an abuse of power by the police. It also emerged during the trial that the News of the World had paid out huge sums of money to various witnesses for their stories, including the huge £200,000 paid for the video. Gail Sheridan was also charged with perjury. But after 44 days of a trial, during which the prosecution did not bring forward a single scrap of evidence, all charges were dropped against her. It is clear that she was only charged in the first place to increase the psychological and emotional pressure on the Sheridans. Of the 42 prosecution witnesses, 24 were members of the SSP, including 16 of the original executive committee who gave evidence against Tommy in the 2006 defamation action. Without the SSP there was little possibility of a prosecution being achieved. Their central role in this vendetta against Tommy Sheridan, alongside that of the police and the legal establishment, will condemn them forever in the eyes of genuine socialists and class-conscious workers. Socialist Party Scotland has supported Tommy Sheridan over the last six years in his battle against those powerful forces ranged against him. We will continue to give our full support to Tommy Sheridan, Gail, his family, friends and comrades, in the continuing battles that lie ahead. Fight the NHS pay freeze!